We measure and address the often-overlooked factors that determine how you feel and perform. Dr. Mary Colfer joined Dr. Neal Carl at the West End offices of WellcomeMD on March 1 to accommodate the demand for an integrative and proactive approach to concierge medical care. Dr. Colfer is board-certified in Emergency Medicine and Metabolic and Nutritional Medicine (FMNM) with a particular interest in functional medicine. "Developing individualized treatment plans based on the latest scientific research has great promise for our patients," she said. "Joining WellcomeMD gives me the time, the tools, and an experienced team to continue this level of care." WellcomeMD's membership family medical care offers same-day appointments and 24/7 access to a staff physician. "We measure and address the often overlooked factors that determine how you feel and perform," Dr. Colfer said. "They include enteric health, physical activity, hormonal balance, nutrition, sleep, and stress levels." WellcomeMD will host an open house Wednesday, March 21, 2018, from 5:30 PM to 7:30 PM at its West End office. Drs. Colfer and Carl will be available for discussions regarding fitness, nutrition, advanced diagnostics, precision genetic medicine, and aesthetics care. To RSVP call 804.409.8559, email info@wellcomeMD.com, or visit http://www.wellcomeMD.com/open-house. 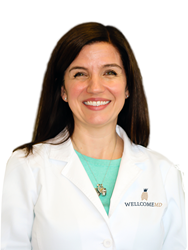 Founded by concierge medical expert Linda Nash in 2016, WellcomeMD is the next generation in concierge medicine. Unlike many other concierge practices, it begins with genomic profiling, gut health analysis, and an examination of risk factors associated with chronic illnesses, to create an optimal health plan. Because membership numbers are kept small, WellcomeMD physicians have the time to provide education and advocacy for patients. The Richmond office is located at 2500 Gaskins Road, Suite A, Richmond VA, 23238. Additional information is available online at https://www.wellcomemd.com or by calling 804.409.8644.